How to install Cydia iOS 8.4 using PP jailbreak on Mac ? Home › iOS 8.4 jailbreak › How to install Cydia for iOS 8.4 – 8.1.3 using PP jailbreak on Mac ? How to install Cydia for iOS 8.4 – 8.1.3 using PP jailbreak on Mac ? 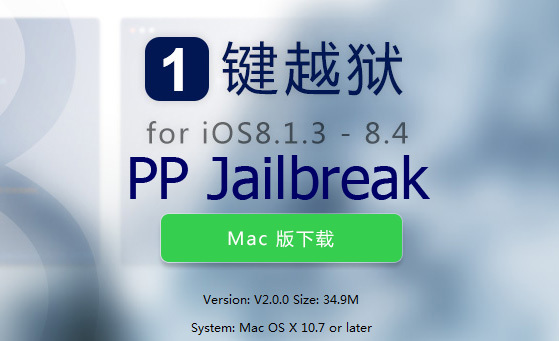 Mac version of PP jailbreak for iOS 8.4 – 8.1.3 has just released to the public. This is the complete tutorial for how to jailbreak iOS 8.4 on Mac using untethered PP jailbreak. Users with iPhone, iPad or iPod devices running iOS 8.4 – iOS 8.1.3 are welcome to jailbreak & install Cydia for their devices with five steps. just follow the instructions are given below to success.. Please backup your data with iTunes. Step 01 >> Download latest version of pp jailbreak tool on your computer from above links. Step 02 >> Double-click on the downloaded PP Jailbreak dmg file to mount. Then, drag and drop it to the Applications folder. Double-click on the PP Jailbreak icon to launch it. Step 03 >> Connect your iOS device to computer with USB cable & wait to detect your device by the program. Step 05 >> Stay connect & wait patiently, it will take some time for the process. 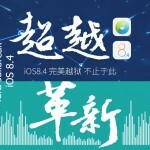 After complete the jailbreak process, you will be shown “Jailbreak Succeeded!” massage. This means, you have successfully jailbroken your idevice with install Cydia. Now you are able to endless customizing your device with amazing Cydia tweaks & apps. 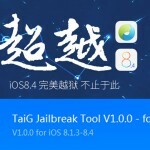 iOS 8.1.2 jailbreak for Mac released with new PP jailbreak. ‹ Cydia 1.1.23 released with support package downgrades..
We have mentioned properly to get success for jailbreak. Also JB failed users next steps also mentioned with some posts. Commeon errors we have added to FAQ page. What is your error ? Download & install this 64bit iTunes drivers on your computer and try again. I I am Zayed and I Love cydia think you. We cannot understand your matter, Please explain properly. How do we do this? I do not recomend using this. Put more details down and I will reconsider. I agree. They should be more specific and show a video on how to use it. Better to upgrade your device to iOS 9.3.3 and use Pangu tool for jailbreak and install Cydia.